Secondary Glazing creates a barrier that minimizes the transfer of heat energy from one area to another by reducing the conduction, convection and/or radiation effects, in other words making it harder for the heat to escape your home. It is done by reducing conduction and convection effects. The air gap between the existing window and Secondary Glazing will act as a barrier just like with double or tripple glazed windows. You may be living a conservation area and not able to upgrade your existing windows to new or find it very difficult to replace like for like. Cost is another deciding factor as Secondary Glazing is much cheaper in comparisson to getting new windows, installation is quick and does not require further work such as redecorating. As well as keeping the cold out and keeping the warm in, Secondary Glazing will also reduce condensation by 90% which is a common issue with single glazed windows. 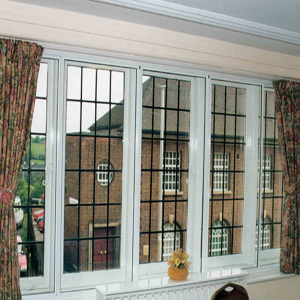 Condensation can easily shorten life of the existing timber windows and cause damage to window cill and walls.